Within the last couple of years, the topic sustainability gained significant importance. Entrepreneurs are getting more aware of their responsibility and invest into a more efficient and ecological economic behavior. Several studies prove a positive impact of a sustainable approach on the operative performance of a company (cf. Brammer, Millington 2004, p. 1429; Jiao 2010, p. 2560; Kim, Statman 2012, p. 128). A similar development can be witnessed on the capital market, where decisions of investment are no longer taken due to financial matters only, but involving ecological and social as­pects into the decision-making process (cf. Wallis, Klein 2015, p. 63). Since the finan­cial resources to promote social responsibility projects in companies are continuously rising, one can assume an equally rising importance of CSR for the companies con­cerned (cf. Deng et al. 2013, p. 87). To inform the participants of the capital markets about ongoing CSR projects appropriately, many companies publish special reports about their sustainability activities and results (cf. Kim et al. 2014, p. 1). In how far these sustainability-investments do have a considerable impact on the divi­dend payment has however not been examined yet. 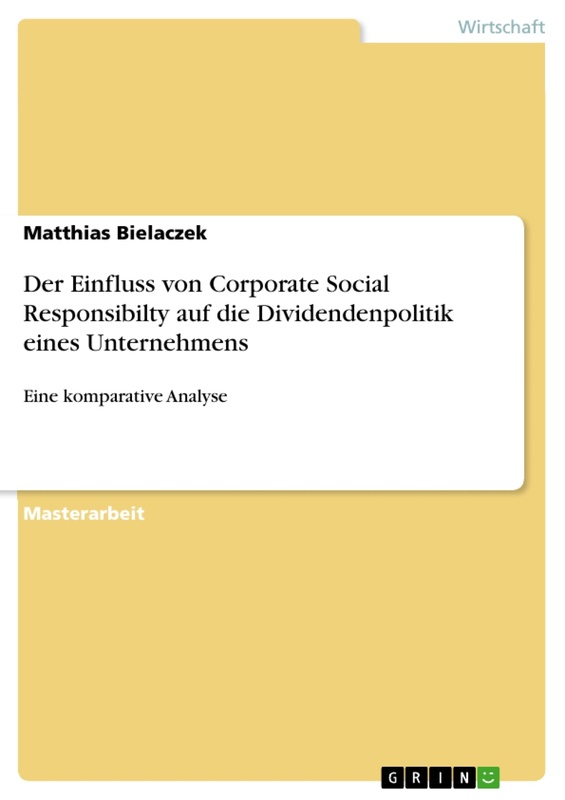 Thus, the present paper aims to answer the question, whether CSR measures do have an influence on the company’s dividend payment for shareholders. This thesis will focus on the impact of so called sustainability-ratings from the rating agency ASSET4 on the distribution rate of the company. Furthermore, the rating categories used by the rating agency (namely corpo­rate governance, social and environmental aspects) will be considered, using these three criteria to examine specific effects of the company’s ecological and social behav­ior on the dividends. A high score in the sustainable rating indicates a higher degree of sustainable awareness of the company. Concerning the dividend policy, this paper will raise the question whether companies acting according to sustainable principles are likely to pay higher dividends to their shareholders. HI: Sustainability of a company as measured by the ASSET4 rating has an impact on the level of dividendpayout to shareholders. H2: Sustainability categories GOV, SOC and ENV of ASSET4 ratings correlate differ­ently with company’s payout ratios. H3: Dividends payment is more stable in companies with high sustainability than in companies with low sustainability. The formulated hypotheses will be tested on the basis of ratings by the sustainability­rating-agency ASSET4. This paper will especially focus on the self-developed score A4ESG, as well as on the aspects of corporate governance, environmental and social matters. In general, the newly developed score A4ESG represents a mean value of the rating categories GOV, SEC and ENV on an annual basis. The ratings took place within a survey period from 2002 until 2016, collecting data from 6.182 companies from 117 different branches of business. In order to determine the effect of the dividend policy of a certain company, data of dividend payments of different companies are retrieved from the database Datastream (Thomson Reuters). The data are collected on an annual basis and sum up all dividend payments of a fiscal year for holders of common stock (in US-Dollar). The survey period concerning the dividend payments however includes a time span from 1999 until 2016. This extended survey period regarding the dividend payment is mainly due to the utilization of so-called lagged variables in the robustness tests, which will not be elaborated in depth in this Executive Summary. Furthermore, some more financial indicators need to be taken into account in order to determine the impact on the dividend policy of a certain company. The dependent var­iables applied in the testing ofhypotheses are DIVASS, DIVSAL and ADIV. The var­iable DIVASS indicates the relation between the paid dividend of a company in a year (t) and the comprised property assets at a certain point of time (t), namely the balance sheet totals. As a consequence, the dependent variable DIVASS can be understood as a distribution ratio, showing the relation between the dividend payment and the balance sheet totals. A higher ratio hence implies a higher dividend payment of the company for the shareholders. Basically the same applies for the second, independent variable DIVSAL, even though it does not bring any property assets into relation but relate the net sales of a company in a year (t). For the Lintner Modell, the distribution ratio of the companies is of no further importance, but the dividend development over time. There­fore, the dependent variable ADIV is applied, indicating the changes in dividend pay­ment between year (t-1) and (t). It becomes clear that ADIV describes the absolute deviation of dividend payment in two successive business years. The regression model of equation (3) is mainly based on Lintners studies (1956), from whom it got its name. This executive summary focuses primarily on the regression coefficient pi, measuring the speed of adjustment of the dividend in successive years, calculated by using - pi. A high value of - pi eventually indicates a quick adjustment of the company’s dividend; thus, this factor is also considered as speed-of-adjustment factor (SOA). It is assumed that a faster adjustment of the dividend goes hand in hand with a more volatile dividend distribution. In a first approach the database is subject to an univariat analysis, which describes the data setting according to selected criteria (here: score of sustainability rating). To be able to trace differences back to sustainability, two portfolios are established, either including companies with a high (A4ESG High) or a low degree of sustainability (A4ESG Low). The division between the portfolios is based on the mean value of the calculated sustainability score A4ESG. Analyzing the dependent variables, as shown in Table 1, it becomes clear that the average dividend ratios DIVASS and DIVSAL of the companies in the sustainable portfolio are higher than the paid dividend ratios of companies clustered in the less-sustainable portfolio. Even though the differences are rather small in numbers (0.24% / 0.21%), they are still significantly different, as con­firmed by the Welch-tests. Therefore, more sustainable companies reach higher divi­dend ratios. The target figure ADPS, applied within the Lintner Modell, increase sig­nificantly by 0,04$ on average in the sustainable portfolio, in contrast to the low sus­tainable portfolio. Hence, the dividends per share of more sustainable companies grow faster than dividends per share of less sustainable companies. Whether these effects are fully caused by the degree of sustainability of a company will be examined in the fol­lowing multivariate analyses. The results of the regression models are summarized in Table 2 and show the effect of the degree of sustainability on the dividend ratios DIVASS and DIVSAL. To concen­trate on the most relevant effects, the control variables are not elaborated on in great detail. Nonetheless it is important to highlight that the regression coefficients of the individual sustainability ratings A4ESG, GOV, SOC and ENV indicate a uniform re­sult: both dividend ratios experience a positive influence by the sustainability ratings A4ESG, GOV, SOC. An increasing score correlates positively with increased dividend distributions. The category ENV however indicates positive and negative correlations in the examination of both variables DIVSAL and DIVASS, even though the negative correlations are considered as not significant. Consequently, the first hypothesis can be considered as confirmed, since the sustainability ratings A4ESG do have a positive effect on the dividend distribution. The second hypothesis though can only be con­firmed for the ratings GOV and SOC, due to its significant correlation with the devel­opment of the dividend ratios. For the ENV rating, both regressions did not lead to an unambiguous result - here, further research is recommended. White’s (1980) t-statistics are reported inside the parentheses. ***** and * denote statistical significance at the 10%, 5%, and 1% levels. The results of the Lintner Modell can be find in Table 3. Regarding the SOA-factors it becomes clear that Hypothesis 3 cannot be confirmed. The results clearly show that companies, which do have a more sustainable approach, demonstrate higher SOA-fac­tors, which means that sustainability goes hand in hand with a more volatile dividend distribution. By referring back to the stakeholder theory of Freeman (2010), a clear connection between a more volatile dividend and an increased sustainability becomes apparent. Since the concept of sustainability implies to take into account not only the interests of shareholders or capital investors but further stakeholders as well, a sustain­able company will adjust the annual dividends to the annual net profits, in order to meet the interests of all stakeholders. The t-statistics of within estimators are reported inside the parentheses. ***** and * denote statistical significance at the 10%, 5%, and 1% levels. This paper focuses on the question, whether sustainability does have an influence on div­idend payments. The main research question is, in how far the degree if sustainability consciousness of a certain company or the company’s management, calculated by apply­ing the sustainability ratings of the agency ASSET4, has an impact on the dividend ratio of the company. Especially the results of ratings GOV and SOC and the calculated A4ESG indicate an impact on the dividend distribution; the hypotheses are thus con­firmed. Both dividend distributions show a positive and significant influence of the rank­ing. This found results are in accordance with earlier studies in context of sustainability and dividend policy (cf. Cheung et al. 2016, p. 24; Benlemlih 2014, p. 29; Rakotomavo 2012, p. 205) but contradict the study of Glegg et al. (cf. Glegg et al. 2018, p. 164). The examination of the last hypothesis concentrated on the stability of the dividend payments. Results show that sustainability is no indicator for a constant dividend payment, since the shareholders have to accept more volatile dividends. This is mainly due to a certain effect, explained by the stakeholder-theory of Freeman (2010): sustainability means to respect the interests of many different stakeholders. It is not the most important goal of the man­agement to maintain high dividend ratios. As a consequence, companies with a high de­gree of sustainability are more likely to adjust their dividend ratios more often. Considering further studies in this field of dividend policy and sustainability, more de­tailed information could be collected. Especially with regard to the sustainability aspect, single category scores of ASSET4 could be examined. A potential research question could ask why the sustainability category ENV does have a negative impact on the divi­dend ratios DIVSAL. Furthermore, an evaluation of country or culture related differences of the dividend ratios might be beneficial. In their study, the authors El Ghoul et al. (2017) demonstrate a connection between the impacts of sustainability and the company’s value, which is more distinct in countries with weak market institutions (cf. El Ghoul et al. 2017, p. 375). Das Thema Nachhaltigkeit hat in den letzten Jahren stetig an Bedeutung gewonnen. Diese Entwicklung ist auch am Kapitalmarkt zu beobachten, wo Investitionsentschei- dungen nicht mehr nur unter Berucksichtigung finanzieller Kennzahlen, sondern auch unter umweltbewussten und sozialen Gesichtspunkten getroffen werden (vgl. Wallis, Klein 2015, S. 63). Entsprechend legen auch Unternehmen und Organisationen einen immer hoheren Wert auf sozialverantwortliche und umweltfreundliche Kriterien, die den Anspruchen der nachhaltigen Kapitalmarktteilnehmer entsprechen. Im Angelsach- sischen ist dieses Vorgehen als Corporate Social Responsibility (CSR) bekannt. Da immer mehr finanzielle Ressourcen zur Forderung von sozialverantwortlichen Vorha- ben im Unternehmen aufgewendet werden, scheint die Bedeutung der sog. Corporate Social Responsibility fur Unternehmen stetig zu wachsen (vgl. Deng et al. 2013, S. 87). Damit die Kapitalmarktteilnehmer uber solche Investitionen informiert sind, publizie- ren Unternehmen bereits eigene Berichte uber ihre Nachhaltigkeitsaktivitaten und de- ren Wirkungen in sog. CSR-Reports (vgl. Kim et al. 2014, S. 1). Aufgrund der CSR- Mafinahmen ergibt sich eine effizientere Nutzung von Ressourcen und Kapazitaten, durch die die Umweltbelastung sowie die daraus folgenden Konsequenzen reduziert werden. Fur ein Unternehmen haben solche Mafinahmen durchaus auch finanzielle Fol- gen, sowohl positive als auch negative. Einerseits stellt der optimierte Materialeinsatz eines Unternehmens eine effiziente Nutzung von Ressourcen dar und ubt gleicherma- fien einen positiven Effekt auf die Kosten des Produkts aus. Negativ belasten anderer- seits die Investitionen, die im Vorfeld vonnoten sind, um im Sinne der Nachhaltigkeit Verbesserungen anzustreben. Dabei zielen solche Investitionen nicht automatisch auf positive finanzielle Effekte ab. Vielmehr konnen Investitionen u.a. in die Verbesserun­gen von Arbeitsbedingungen oder die Bezahlung einer fairen Vergutung, weitrei- chende Konsequenzen haben, die das Unternehmen finanziell negativ belasten. 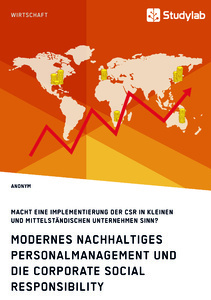 In zahl- reichen empirischen Studien werden die Wechselwirkungen zwischen CSR und der Unternehmensperformance untersucht. Dabei sind die Effekte vielseitig und zeigen verschiedene Wechselwirkungen. Die Untersuchung von El Ghoul et al. (2017) von 2.445 Unternehmen aus uber 50 Landern deckt Verbindungen zwischen CSR-Aktivi- taten und der Kreditvergabe auf. Demzufolge besitzen Unternehmen mit einem hohe- ren sozialen Engagement einen besseren Zugang zu Finanzierungsmitteln in Landern mit schwachen Kapital- und Aktienmarkten (vgl. El Ghoul et al. 2017, S. 375). Dieser Eindruck wird durch die Arbeit der Autoren El Ghoul et al. (2011) bestatigt, in der 12.915 US-Unternehmen uber einen Beobachtungszeitraum von 1992 bis 2007 unter- sucht wurden. Es zeigte sich, dass Unternehmen mit einer hohen CSR-Performance gunstigere Finanzierungskosten aufwiesen (vgl. El Ghoul et al. 2011, S. 2400). He­mingway und Maclagan (2004) meinen wiederum, dass Investitionen in die Nachhal- tigkeit genutzt werden, um Fehlverhalten des Managements zu verschleiern und so ne­gative Kritik vom Unternehmen abzuwenden (vgl. Hemingway, Maclagan 2004, S. 35). 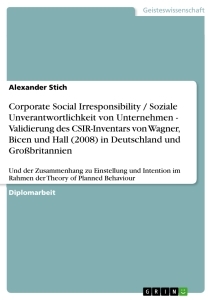 In der Verbindung mit theoretischen Ansatzen wie der Stakeholder Theory konnen In­vestitionen in die Nachhaltigkeit einen positiven Einfluss auf den Unternehmenswert ausuben, da CSR die Belange vieler Interessengruppen berucksichtigt und so die Ge- schaftstatigkeit des Unternehmens gestarkt wird (vgl. Deng et al. 2013, S. 88). Eine dieser Interessensgruppen sind Aktionare, die meist das Ziel des Shareholder-Value- Konzepts verfolgen, die Unternehmenswertmaximierung. Neben den grundsatzlichen Marktwertsteigerungen, mit denen der Shareholder Value einhergeht, sind Aktionare an Dividendenausschuttungen des Unternehmens interessiert. In dieser Art werden die Aktionare direkt an den Unternehmenserfolgen beteiligt und erhalten regelmabige Cashflows aus ihren Investitionen. Wie ein starkerer Fokus des Unternehmens auf seine Nachhaltigkeit sich auf die Ausschuttungen des Unternehmens auswirkt, ist bis- her wenig untersucht. Dabei sind geringere Dividendenausschuttungen bei steigender Nachhaltigkeit nicht abwegig, da Mafinahmen fur ein okologisches Handeln i.d.R. fi- nanzielle Mittel beanspruchen, die dann fur etwaige Dividendenausschuttungen nicht mehr zur Verfugung stehen. Die wenig erforschten Wirkungen der Nachhaltigkeit eines Unternehmens und der da- raus resultierenden Konsequenzen fur die Dividendenausschuttungen sind Grunde fur die abgeleiteten Hypothesen dieser Arbeit. Das Ziel ist es, die unterschiedlichen Wir­kungen der Nachhaltigkeit eines Unternehmens auf dessen Dividendenrendite und ein- zelne Einflusse der Nachhaltigkeitsbewertung auf die Dividenden auszumachen. Die Kernfrage dieser Masterarbeit ist die Untersuchung der Einflusse von sog. Nachhaltig- keitsratings der Ratingagentur ASSET4 auf die Ausschuttungsquoten der Unterneh­men. Des Weiteren werden die Ratingkategorien von ASSET4 Corporate Governance (GOV), Social (SOC) und Environmental (ENV) herangezogen. Mithilfe der drei Nachhaltigkeitskriterien werden spezifische Wirkungen des Umweltverhaltens sowie der Unternehmensfuhrung auf die Dividenden untersucht. Dabei sind hohere Nachhal- tigkeitsratings ein Indikator bar ein starkeres Umweltbewusstsein von Unternehmen. AbschlieBend wird der Frage nachgegangen, ob die Nachhaltigkeit des Unternehmens fur Aktionare eine gewisse Stabilitat in der Dividendenausschuttung bedeutet oder ob Aktionare mit volatileren Ausschuttungen zu rechnen haben. Der Aufbau dieser Arbeit gliedert sich in funf Kapitel. Im ersten Kapitel wurde CSR definiert und Wechselwirkungen zwischen der Nachhaltigkeit und der Unterneh- mensperformance wurden nahergebracht. Die Einleitung hat ebenso die Zielsetzung dieser Arbeit benannt. Das zweite Kapitel fuhrt grundlegende Theorien der Dividen- denpolitik an, welche abschlieBend herangezogen werden, um mogliche Einflusse der Nachhaltigkeit auf die Dividenden theoretisch zu begrunden und die dargelegten Ar- gumente zu untermauern. Das Kapitel schlieBt mit der Formulierung der Hypothesen ab. Das darauffolgende Kapitel beschreibt die zugrunde gelegten Daten sowie Metho- den dieser Arbeit und endet mit einem deskriptiven Uberblick uber die ausgewahlte Datenbasis. Im vierten Kapitel werden sodann mittels der Regressionsanalyse die auf- gestellten Hypothesen gepruft und mogliche Einflusse der Nachhaltigkeit auf die Divi- dendenpolitik festgestellt. AbschlieBend werden die wichtigsten Erkenntnisse zusam- mengefasst und weitere Forschungsmoglichkeiten erortert. Das folgende Kapitel verschafft einen Uberblick uber die theoretischen Grundlagen, die in der dieser Arbeit spater wieder aufgegriffen werden, um die Zusammenhange zwischen Nachhaltigkeit und Dividenden zu erlautern. Das Kapitel beinhaltet eine Zusammenfas- sung der empirischen Untersuchungen zu Nachhaltigkeitsratings und ihrem Einfluss auf die Dividendenpolitik. AbschlieBend erfolgt die Formulierung der in dieser Arbeit unter- suchten Hypothesen. Um die spateren Zusammenhange zwischen der Dividendenpolitik eines Unternehmens und seiner Nachhaltigkeit zu verstehen, werden die wichtigsten theoretischen Modelle der Dividendenpolitik kurz erlautert. Darunter fallen die Signalling-, Agency-, Stakehol­der- sowie Lebenszyklustheorie. Die Signalling-Theorie beschreibt, wie Stakeholder auf Informationen von Unternehmen reagieren und diese fur ihre zukunftigen Investitionsentscheidungen interpretieren. Die­ses Konzept kann auf die Dividendenpolitik eines Unternehmens ubertragen werden. So konnen Unternehmen mithilfe hoherer Dividendenausschuttungen verdeutlichen, dass sie optimistisch sind, in Zukunft hohere Gewinne zu erwirtschaften. Denn das Management erhoht die Dividende lediglich, wenn es von zukunftig hoheren Gewinnen ausgeht, die eine hohere Dividende zulassen (vgl. Hobbs, Schneller 2012, S. 1395). Bereits Lintner (1956) beschreibt in seiner Arbeit, dass Dividendenkurzungen seitens des Managements vermieden werden, um negative Reaktionen der Anteilseigner auf den Aktienkurs zu ver- hindern (vgl. Lintner 1956, S. 101), denn nicht selten fuhren Dividendenkurzungen zu schlagartigen Kursverlusten. Das Ziel eines jeden Unternehmens sollte die Gewahrleis- tung einer moglichst stabilen und kontinuierlichen Ausschuttung sein. In der jungeren Vergangenheit zeigten Benartzi et al. (1997), dass vor allem nach den ersten drei Jahren einer Dividendenerhohung die betroffenen Unternehmen geringfugig hohere Gewinne ausweisen (vgl. Benartzi et al. 1997, S. 1023ff.). Zusammenfassend kann die Dividen­denpolitik als Kommunikationsmittel des Managements gesehen werden, welches ge- nutzt wird, um Signale an die Marktteilnehmer zu senden. Ahnlich beschreiben es die Autoren Miller und Rock (1985) sowie John und Williams (1985), denen zufolge das Management mit seiner Dividendenpolitik indirekte Signale an die Marktteilnehmer sen- det, welche Aufschlusse uber zukunftige Ertrage geben (vgl. Miller, Rock 1985, S. 1037; John, Williams 1985, S. 1065). Die Prinzipal-Agenten-Theorie, auch Agency-Theorie genannt, beschreibt i.d.R. die De­legation einer Aufgabe zwischen zwei Parteien, namlich vom Prinzipal an den Agenten. Aufgrund der Informationsasymmetrien fehlt dem Prinzipal in diesem Modell die voll- standige Kontrolle. Der Prinzipal kann nicht beurteilen, ob der Agent die Aufgabe im Sinne des Prinzipals erfullt oder seinen eigenen Nutzen maximiert. Deshalb muss der Prinzipal eine Kontrollfunktion ausuben, um den Agenten zu animieren, in seinem Sinne zu handeln.2 In der Praxis wird anstelle eines Kontrollmechanismus eine direkte Ergeb- nisbeteiligung bevorzugt, meist in monetarer Form. In Bezug auf die Unternehmensfuh- rung verursachen die divergierenden Interessen zweier Parteien, die der Aktionare und der Vorstandsebene, zusatzliche Kosten in Form von Uberwachungskosten (vgl. Jensen, Meckling 1976, S. 308). Diese mindern den Marktwert des Unternehmens und werden Agency-Kosten genannt (vgl. ebd., S. 313). Verfolgen beide, Aktionare und Unterneh- mensfuhrung, das Ziel der eigenen Nutzenmaximierung, wird der Agent (Unternehmens- fuhrung) die Entscheidungsbefugnisse ausnutzen, um seinen eigenen Interessen nachzu- gehen, und somit dem Prinzipal (Aktionar) schaden. Die Ausschuttung von Dividenden ermoglicht es, den Handlungsspielraum der Unternehmensfuhrung teilweise zu beschran- ken. Eine hohe Dividendenausschuttung hilft, die Agency-Kosten zu kontrollieren, indem der finanzielle Spielraum der Manager mittels hoher Ausschuttungen an die Aktionare reduziert wird (vgl. Easterbrook 1984, S. 654; Jensen 1986, S. 324). Vor allem Easter- brook (1984) fuhrt an, dass hohere Ausschuttungen das Management zwingen, ofter am Kapitalmarkt tatig zu werden, um Projekte und Investitionen zu finanzieren (vgl. Easter­brook 1984, S. 654). Die Emission von Anleihen oder Aktien fuhrt in der Regel dazu, dass Investmentbanker, Finanzanalysten sowie mogliche Investoren das Unternehmen prufen und hinterfragen, wofur das benotigte Kapital eingesetzt wird (vgl. ebd.). Die da- raus resultieren Vorteile fur Aktionare bestehen in einer hoheren Kontrolle der Unterneh­mensfuhrung, welche folglich vor allem vorteilhafte Investitionen tatigt und davon ab- sieht, zu groBe Risiken bei ihren Investitionsentscheidungen einzugehen. Die Wirkung ist eine Minimierung der Agency-Kosten und eine Maximierung der Dividendenausschut­tung im Sinne der Aktionare. Die Lebenszyklustheorie besagt, dass alle Unternehmen in ihrer Historie definierte Pha- sen eines Zyklus durchschreiten. Da eine Vielzahl an Modellbeschreibungen existiert, wird von weiteren Erlauterungen zum grundlegenden Modell abgesehen. Primar wird in dieser Arbeit die Theorie von Mueller (1972) angefuhrt, der als einer der Ersten die Le- benszyklustheorie mit der Dividendenpolitik verbunden hat. Junge Unternehmen besitzen in der Regel ein grofies Wachstumspotenzial mit zahlreichen Investitionsalternativen, weshalb diese Unternehmen ihren freien Cashflow zur Finanzierung der Projekte benoti- gen und aus diesem Grund eine geringe oder gar keine Dividende ausschutten (vgl. Muel­ler 1972, S. 206). Zumal furjunge Unternehmen die externen Refinanzierungskosten we- sentlich hoher liegen als fur etablierte Unternehmen, erscheint ein schnelles Ausschutten einer Dividende als wenig sinnvoll. Die hoheren Refinanzierungskostenjunger Unterneh­men lassen sich durch die starkere asymmetrische Informationsverteilung zwischen Ka- pitelgeber und -nehmer erklaren (vgl. Myers, Majluf 1984, S. 215; Fama, French 2001, S. 21). Hingegen zeichnen sich reife Unternehmen durch eine hohe Profitabilitat und mehr einbehaltene Gewinne aus. Jedoch erschweren die Unternehmensgrofie und die fort- geschrittene Markterschliefiung das Finden alternativer Investitionsmoglichkeiten gegen- uberjungen Unternehmen, weshalb der freie Cashflow von hochkapitalisierten Unterneh­men die profitablen Investitionsmoglichkeiten meist ubersteigt (vgl. Grullon et al. 2002, S. 422). Miller und Modigliani (1961) zufolge richtet sich die Hohe der Dividendenaus- schuttung nach den alternativen Investitionsmoglichkeiten des Unternehmens (vgl. Mil­ler, Modigliani 1961, S. 424). Im Fall nicht benotigter Cashflows werden diese an die Aktionare in Form von Dividenden ausgeschuttet. Somit lasst sich sagen, dass die Aus- schuttungsquoten umso hoher liegen, je fortgeschrittener ein Unternehmen sich im Le- benszyklus befindet. Empirisch belegen das vor allem Fama und French (2001), die in ihrer Arbeit zeigen, dass grofie, reife Unternehmen hohere Ausschuttungsquoten erzielen als kleine, junge Unternehmen, die relativ gesehen hohere Investitionen tatigen (vgl. Fama, French 2001, S. 4). Daruber hinaus stellen die Autoren DeAngelo et al. (2006) dar, dass Unternehmen in der Anfangsphase ihres Lebenszyklus alle finanziellen Mittel im Unternehmen behalten und reinvestieren, solange die interne Finanzierung gunstiger als die externe Kapitalbeschaffung ist (vgl. DeAngelo et al. 2006, S. 250). Dies erklart, wes­halb vor allemjunge Unternehmen keine Dividende ausschutten. bei ihrer Entscheidungsfindung berucksichtigt (vgl. Freeman 2010, S. 54). Das Beruck- sichtigen aller Interessen macht den Erfolg einer Unternehmensstrategie aus und ist ef- fektiver, als die Ziele einer Interessensgruppe zu Lasten einer anderen zu verfolgen. Die Theorie unterscheidet externe und interne Anspruchsgruppen, wobei zu den internen Gruppen bspw. Mitarbeiter sowie die Geschaftsfuhrung und zu den externen Gruppen Kunden und Fremdkapitalgeber gehoren. Ein Vorteil der Stakeholder-Theorie wurde be- reits einleitend erwahnt: Soziales und verantwortliches Wirtschaften schlieBt die Interes­sen aller Stakeholder ein. Somit versucht die Unternehmensfuhrung den Bedurfnissen der Aktionare und Kapitalgeber gerecht zu werden und sie entsprechend an den Gewinnen des Unternehmens durch eine Ausschuttung von Dividenden teilzuhaben. 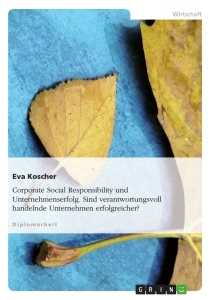 Nachdem der Literaturuberblick abgeschlossen ist, widmet sich das folgende Kapitel den Zusammenhangen zwischen der CSR eines Unternehmens und seiner Dividendenpolitik. AuBerdem werden die in dieser Arbeit untersuchten Hypothesen aufgestellt und anhand der vorgestellten Theorien begrundet und erlautert. Wie im vorherigen Kapitel bereits dargelegt, beschreibt die Stakeholder-Theorie die ver- schiedenen Interessensgruppen eines Unternehmens. Unternehmen, die bewusst nachhal- tiges Wirtschaften verfolgen und ihrer sozialen Verantwortung gerecht werden wollen, sind bestrebt, die verschiedenen Interessensgruppen bestmoglich mit Informationen zu versorgen. 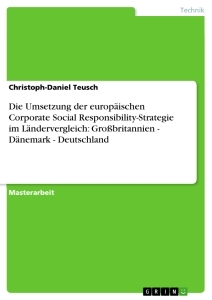 So verfolgen CSR-bewusste Firmen das Ziel, umfangreiche ethische und fi- nanzielle Reportingstandards im Unternehmen zu implementieren, um asymmetrisch ver- teilte Informationen zwischen den Stakeholdern zu reduzieren (vgl. Glegg et al. 2018, S. 151). Zudem bemuhen sich nachhaltige Unternehmen, in ihrer Entscheidungsfindung alle Stakeholder zu berucksichtigen und die Interessen der Mitarbeiter, Lieferanten sowie Ak­tionare zu wahren.3 Das Verfolgen solcher Ziele zeigt sich in Form zusatzlicher Offenle- gungen von Finanzreports (vgl. Gelb, Strawser 2001, S. 151). Des Weiteren verhindern eine permanente Kommunikation und ein offener Austausch von nachhaltigen Unterneh­men eine Akkumulation schlechter Nachrichten, was moglichen Kursturbulenzen an den Aktienmarkten entgegenwirkt (vgl. Kim et al. 2014, S. 6). Uber die klassische Stakehol­der-Theorie hinaus, bedeutet eine hohere Transparenz ein engeres Verhaltnis zwischen den Stakeholdern und den Unternehmen, was eine Minderung von Transaktionskosten zwischen Unternehmen und Stakeholdern nach sich zieht (vgl. Jones 1995, S. 410). Unter Transaktionskosten werden Aufwendungen verstanden, die bei Vertragsverhandlungen zwischen externen und internen Stakeholdern entstehen und in Form von Informations-, Verhandlungs- und Uberwachungskosten anfallen (vgl. ebd.). Aufgrund der geringeren Informationsasymmetrien hat eine hohere CSR geringere Eigen- und Fremdkapitalkosten fur die Unternehmen zur Folge, wie die Autoren El Ghoul et al. (2011), Bae et al. (2011) sowie Goss und Roberts (2011) in ihren Untersuchungen besta- tigen (vgl. El Ghoul et al. 2011, S. 2394; Bae et al. 2011, S. 151; Goss, Roberts 2011, S. 1806). Daraus resultiert letztlich die Maximierung des Shareholder-Values, da Kreditge- ber eine hohere Transparenz positiv wahrnehmen und weniger versteckte Risiken be- furchten mussen, was eben in gunstigeren Refinanzierungskosten endet. Neben den mo- netaren Vorteilen kann sozialverantwortliches Wirtschaften weitere Stakeholder beein- flussen. Fur die Arbeitnehmer spielen Faktoren wie faire Arbeitsbedingungen, okologi- sches Wirtschaften und ein nachhaltiges Branchenumfeld eine immer grofiere Rolle, wes- halb das nachhaltige Wirtschaften eines Unternehmens helfen kann, Personal zu rekru- tieren und geeignete Mitarbeiter vom Unternehmen zu uberzeugen (vgl. Borghesi et al. 2014, S. 179). Das mindert die notwendigen Aufwendungen fur die Personalbeschaffung, welche weniger kostenintensiv ist. Fur die Dividendenpolitik eines Unternehmens bedeu- ten die geringeren Kosten fur das Personalrecruiting sowie geringere Kapital- bzw. Refi­nanzierungskosten hohere Jahresuberschusse, die in Form von hoheren Ausschuttungen an die Anteilseigner gehen konnen. In dieser Art kann die Nachhaltigkeit und das Be- rucksichtigen der Interessen aller Stakeholder die Dividendenpolitik positiv beeinflussen. Demgegenuber stehen die Uberinvestitionen in die CSR, die im Zusammenhang mit der Agency-Theorie steigende Kosten vermuten lasst. Denn Agency-Kosten ergeben sich, wenn der Agent - also die Unternehmensfuhrung - versucht, seinen Nutzen auf Kosten des Prinzipals, der Aktionare, zu maximieren. Demzufolge investieren Manager in die Nachhaltigkeit eines Unternehmens, um ihr eigenes Image als Geschaftsfuhrer zu stei- gern und einen besseren Ruf in der Branche zu geniefien (vgl. Barnea, Rubin 2010, S. 84). Ahnliche Zusammenhange kritisieren die Autoren Borghesi et al. (2014) und Lin et al. 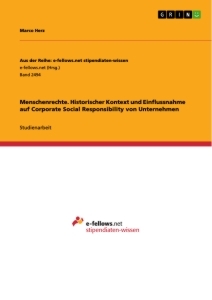 (2015), die den Zweck von CSR-Investitionen der Unternehmensfuhrung im Aufbau von politischen Verbindungen auf Kosten der Anteilseigener sehen (vgl. Borghesi et al. 2014, S. 179; Lin et al. 2015, S. 343). Dennoch werden die Belange der Anteilseigener als Rechtfertigung fur die getatigten Investitionen angefuhrt (vgl. Borghesi et al. 2014, S. 179f. ), obwohl die Aktionare meist an der Maximierung des Shareholder Values interes- siert sind. Dabei bedeutet die Forderung der Nachhaltigkeit nicht gleichermaBen eine Marktwertsteigerung. Empirische Studien belegen die Korrelation zwischen einer hohe- ren Nachhaltigkeit und dem Ruckgang des operativen Jahresuberschusses (vgl. Di Giuli, Kostovetsky 2014, S. 175). Eine negative Unternehmensentwicklung zieht wiederum langfristig Marktwertverluste und sinkende Aktienpreise nach sich (vgl. Brammer et al. 2006, S. 114). Mit einer negativen operativen Entwicklung gehen ebenso sinkende Divi- denden einher, da den Unternehmen weniger Kapital zur Ausschuttung einer Dividende zur Verfugung steht (ceteris paribus). Trotz der positiven Aspekte von CSR-Investments bestehen ebenso Argumente, denen zufolge die Nachhaltigkeitsforderung nicht zu hoheren Dividendenausschuttungen fuhrt, sondern zu hoheren Kosten infolge von Uberinvestitionen in die CSR. Um schlussendlich zu prufen, ob nachhaltiges und umweltbewusstes Wirtschaften die Dividendenzahlungen beeinflusst, wird in dieser Arbeit der Frage nachgegangen, welche Zusammenhange zwi­schen der Nachhaltigkeit eines Unternehmens und seiner Dividendenpolitik bestehen. HI: Die Nachhaltigkeit eines Unternehmens, gemessen anhand der ASSET4-Bewertung, hat einen Einfluss auf die Hohe der Dividendenausschuttung an die Anteilseigner. Bisherige Untersuchungen zu der aufgestellten Hypothese haben unterschiedliche Ergeb- nisse hervorgebracht. Rakotomavo (2012) wertet in seiner Arbeit Nachhaltigkeitsbewer- tungen von 17.670 Firmenjahren aus, die sich uber einen Zeitraum von 1991 bis 2007 erstrecken. 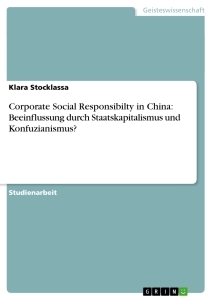 Dabei geht der Autor der Frage nach, ob CSR-Investitionen sich negativ auf aktuelle und vergangene Dividendenanpassungen auswirken. Die Ergebnisse zeigen deut- lich, dass umweltbewusste Firmen eher dazu neigen, hohere Dividenden auszuschutten, wobei das Nachhaltigkeitsbewusstsein mit einem fortgeschrittenen Unternehmenszyklus einhergeht und eher reife Unternehmen, die hohere finanzielle Rucklagen aufweisen, in die CSR investieren (vgl. Rakotomavo 2012, S. 201). Reduzierte Dividendenausschut­tungen resultieren daher nicht aus erhohten InvestitionsmaBnahmen in die Nachhaltigkeit und uben keinen negativen Effekt auf die Ausschuttung an die Shareholder aus. Aller- dings weist die Studie von Rakotomavo (2012) einige Schwachen auf. 1 Regressions with the dependent variable DIVSAL are also run for equations (1) and (2).In addition, the variable Pillar means a dummy for for the ASSET4 pillars Corporate Governance, Environmental and Social. 2 Aufgrund der beschrankten Seitenanzahl wird auf weitere Erlauterungen verzichtet. Eine vollstan- dige und detaillierte Darstellung der Agency-Theorie ist in der Arbeit von Jensen und Meckling (1976) zu finden. 3 Die einzelnen Stakeholder, die im Rahmen einer ASSET4-Bewertung berucksichtigt werden, sind der Datei „ASSET4_ESG_DATA_GLOSSARY“ zu entnehmen.